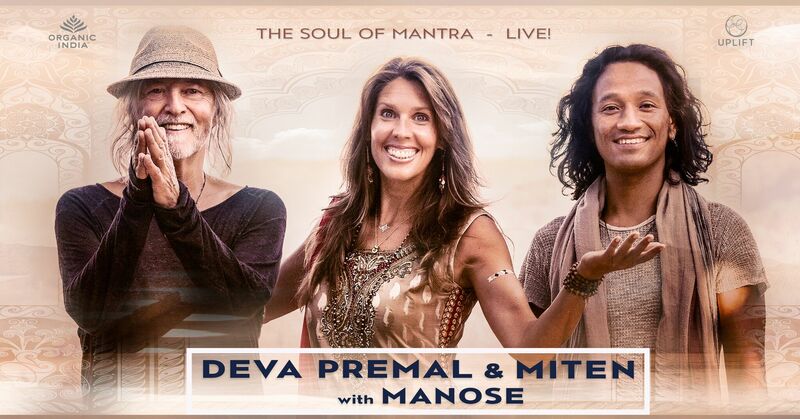 Join world-renowned chant artists Deva Premal & Miten with Manose for a deep immersion into the healing realm of the heart. These life-transformative concerts showcase Deva's new mantra album, DEVA, releasing October 12, and will feature the Seven Chakra Gayatri Mantra - a transcendental journey into inner peace. Deva will be accompanied by her great band - Nepalese bansuri maestro Manose, with Joby Baker on bass, Spencer Cozens on keyboards and Danish Rishi on percussion - creating rich new soundscapes to carry the energy of the ancient mantras. Miten, still recovering from his recent open-heart surgery, will be joining the ensemble after the interval to share some of his beautiful songs of love, meditation & healing. Don't miss this unique opportunity to experience Deva and Miten's new beginning! Please note all ticket sales are final and non-refundable. Queen Elizabeth Theatre 190 Princes' Blvd. © 2019 BrightStar Live Events on behalf of The Wellness Path-1. All sales are final. Tickets are non-refundable.